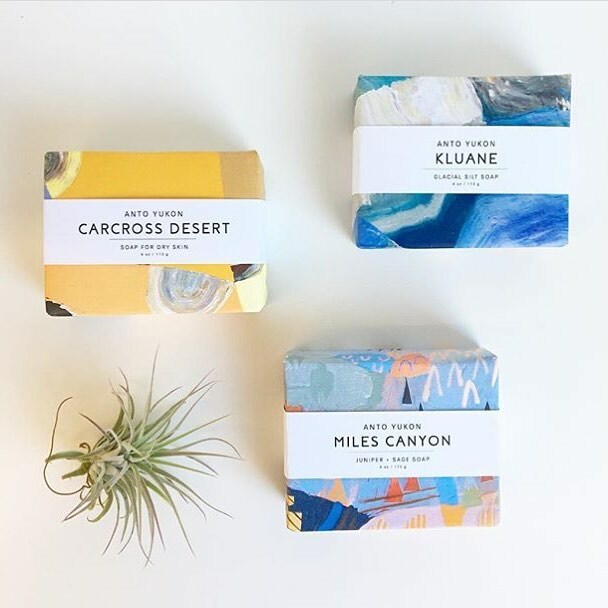 Inspired by their favourite landscapes, Anto is a bath and body company that uses 100% natural ingredients and scents to cure handmade soaps in the Yukon. Did you know there was a desert in the Yukon Territory? 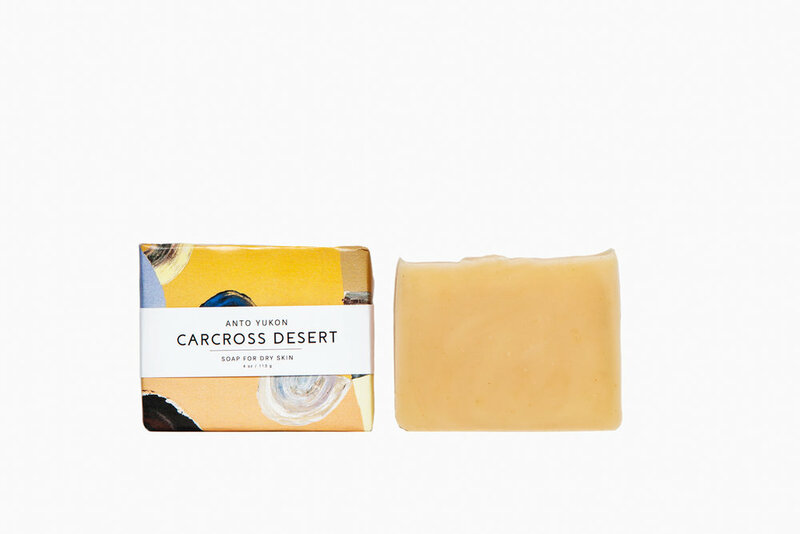 It's sometimes called the smallest desert in the world and it is the inspiration for the Carcross Desert soap. The beautiful packaging was created by Canadian contemporary artist Meghan Hildebrand in British Columbia. Made in Canada: Handmade and cured in the Yukon.